We at SPACE wish to extend warm welcome to all visitors to our new website. 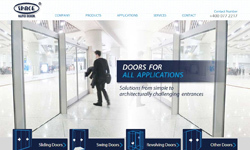 Over the past 3 months, we have been working hard to design a new website which includes more information about our company, products and services that we can offer. 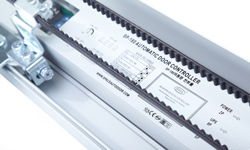 SPACE has new automatic sliding door operators on the market which contain all the qualities that can be found on our long running, well recognized SP-280 automatic sliding door. The new SP-180 and SP-160 feature the same control unit as the SP-280, meaning it is equally intelligent and functional. Every other part is new. Both units feature a brand new DC motor, which is manufacture in our facility, designed to provide silent and smooth operation. We have just completed a 1,000,000 cycles test, and both units will go on sale in February 2013.